In the wake of New Jersey’s smooth and successful entry into the legal intrastate online poker market, Congress has been spurred to reconsider legislation that would make online poker legal nationwide. 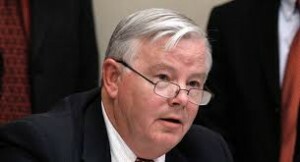 The bill under consideration currently (after the failure of so many similarly inclined bills preceding it) comes from Texas Republican and an avowed poker player Joe Barton. After sitting on the shelf since July when Barton first introduced the bill, New Jersey’s widely publicized foray into the legal online poker market has led Congress to hold a hearing on Barton’s bill. In that hearing, held before the House Subcommittee on Commerce, Manufacturing and Trade, Barton asserted that the day for federally legalized online poker is coming, whether it’s his bill that reins in the new era or not (our wording, not his). Barton’s bill would make online poker legal nationwide with a provision allowing states to opt out if they so wish. Republicans used to be on the opposing side of the legal U.S. online gaming debate, but in recent years the tide has seemed to change on their general opinion of the industry, recognizing certainly its income producing value, no small factor when taking into consideration the still lagging economy. Federal standards would not prevent states like New Jersey, Delaware, and Nevada from continuing to offer online poker as they wish within their own state’s borders, but they would be obliged to comply with federal regulations and guidelines were they to go into affect. According to officials from New Jersey, the state’s own guidelines would meet or exceed the federal ones.